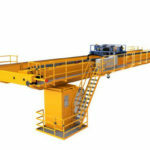 Overhead traveling crane is called overhead crane or overhead bridge crane. The bridge is the basic component of the crane, which is composed of the main beam, the end beam, the walking platform and other equipment. The main beam is over the space between the spans, and has a structure such as a box type, a truss, a web, and a round tube. End beams are connected at both ends of the main beam, and a walking platform is arranged outside the two main beams. A safety railing is provided. A trolley travelling mechanism is installed on one side of the walking platform, and a device for supplying electric power to the electric equipment of the crab is installed on the other side of the walking platform, which is an auxiliary sliding line. A guide rail is placed above the main beam for the trolley to move. The entire bridge crane is moved along the guide rail along the length of the workshop under the drag of the trolley travelling mechanism. For many organizations of management, crane markets become more competitive. We have no surprise to this. If you want to customers purchase the high quality products, we can spend more time and money to research our products. For long term, we have supported the self-development and make the customers satisfaction for crane devices. In order to meet more demands, we make the great and completed strategy. We control reasonable investing plan in factory manufacturing and usages of various materials. In amount of invest for lifting equipment, we cost more money to research and development for products. Of course, if the customers choose incorrect product, its cost is larger in crane invest. Our and clients’ ideals are aimed to sell and purchase high quality products. 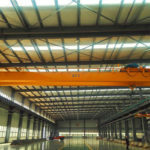 For everyone who works in industry and warehouse apartment, choosing excellent and professional overhead traveling crane is a intelligent decision for crane users. 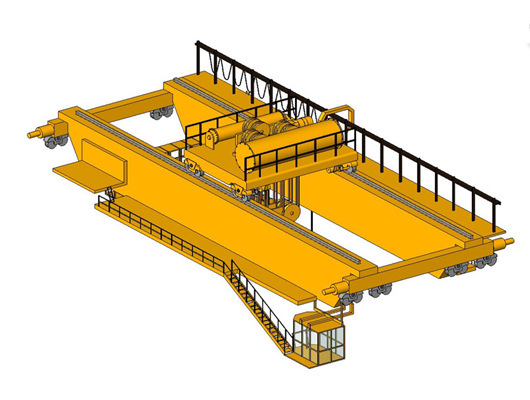 Our crane can provide the high productivity and offers a clear competitive advantage. Maybe the operation might be a complex how to select the best crane according to various requirements. However, in our company you will find an excellent supplier Weihua and models to select from. 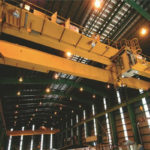 First of all, as the beginning of good development, we know many overhead cranes has various benefits and advantages. Especially for different tons, customers need the cranes to finish their works. On the one hand, according to the regulations of work, some clients need more correct product, which can save more time and money. On other hand, they have abundant functions and provide the customers with various types. 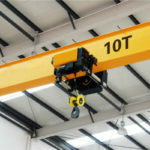 We can offer the detailed information of every overhead crane. Because we are responsible for products’ high quality. 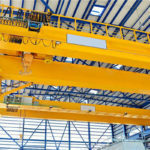 We analyze the implementation of crane equipment. There are various requirements and facility conditions. In addition, you can visit our company’s cases including many countries’ installation. 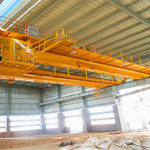 In terms of overhead crane loads, we can customize the different types. If you have reasonable requirements, we can meet your needs. According to some controlled methods and safety equipment, we design various operations. 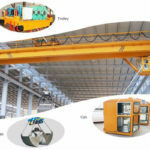 For investment of an overhead traveling crane, we should pay attention to its ability and function. The equipment includes many element of structure. If you need to learn more installation and maintenance, you can check our certification and other safe measures. Of course, you can focus on the analysis of product inspections and allocation of funds, which is vital for various management and save more money. When you need to learn more information from Weihua, you can directly get in touch with us as soon as possible. As we know, when the customers purchase the good crane, they need to be cautious. It involves our benefits and usage of devices. In addition, we can enhance the work efficiency when you buy the excellent product. It has many advantages with good performance. 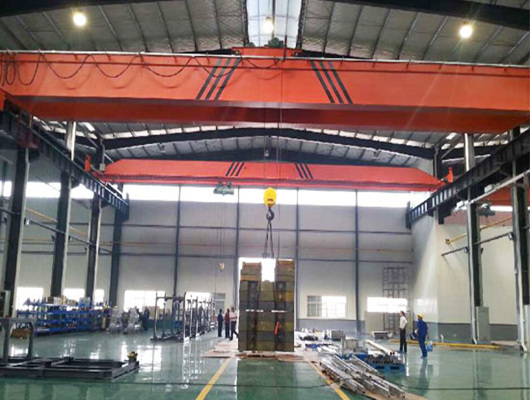 Although you want to purchase heavy duty overhead crane or 100 ton crane, you will find out that our products have low noise and strong structure. We can guarantee safety and reliability of lifting equipment. The corrosion of the lifting machinery is mainly the corrosion of its metal materials. The corrosion problem of the lifting machinery not only affects the work efficiency, but also brings huge economic losses. At the same time, it also causes a vicious safety accident and threat with safety to people’s lives and property. We actively control the anti-corrosion of the lifting machinery to ensure the stability of the lifting machinery. According to various ways, our company briefly analyzes the anti-corrosion design and anti-corrosion control of lifting machinery. Our firm adopts reasonable advanced technologies and various designs. According to national standard, it has good corrosion resistance and economy. In daily work, with the wide application of various types of lifting machinery and equipment, which has become more and more extensive. Crane users pay great attention to the specific selection of lifting machinery and equipment products. Generally, only the lifting equipment products with excellent performance and reasonable price will be favored by consumers. Among them, our company’s cranes are suitable for the special lifting machinery equipment that is favored by various crane operators. 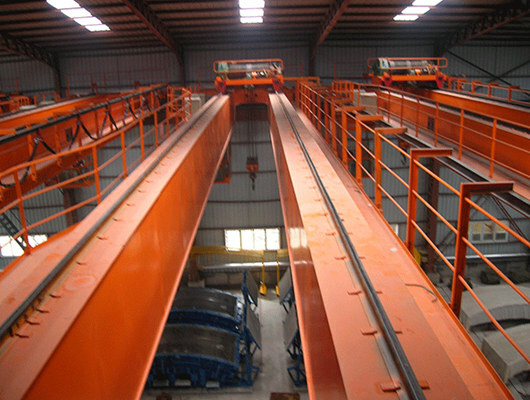 In addition, the overhead bridge crane from Weihua has a good market sales prospect. 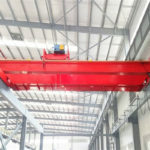 As we know, all kinds of types of crane have wide ranges of applications and functions, which can be effectively operated and used in many industries, so these create great convenience for people’s lives. Secondly, our firm’s crane also has quite simple structure and quick in operation, which can reduce the unnecessary troubles for the user. 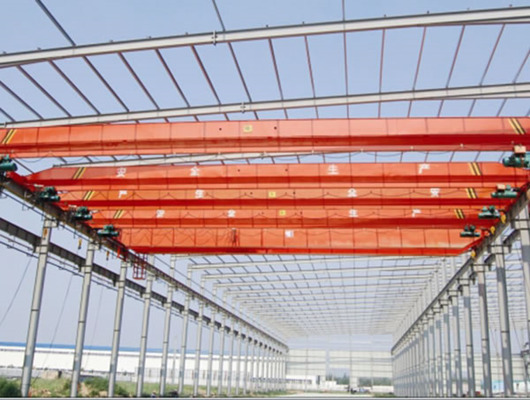 The bridge crane also has the advantages of simple maintenance, strong and reliable structure, so that people can more love it, which meet the customers’ many demands. When you want to learn more information, please contact us as soon as possible. 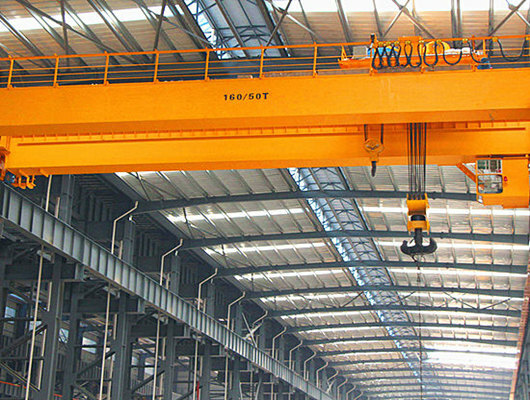 Our company’s overhead traveling cranes have the high quality products and excellent service.